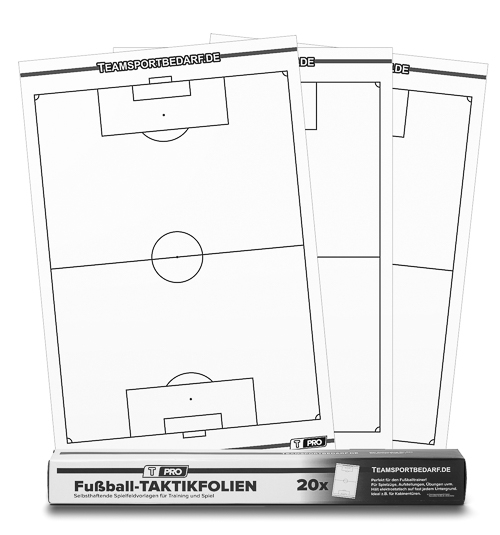 You receive a modern, self-adhesive T-PRO football tactic foil 550 x 830 mm. The electrostatically charged special foil adheres to almost any surface and is delivered on a roll with 20 foils. 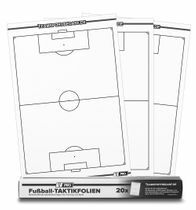 You can sketch tactical instructions on the foils for example with boardmarkers or even permanent markers from our assortment. 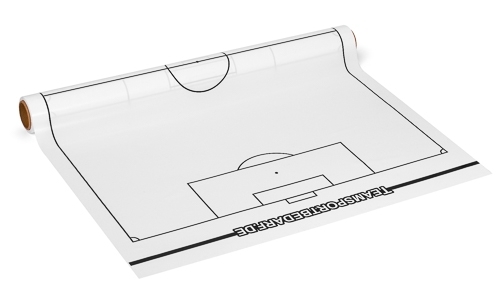 For away games the foils can be easily attached e.g. 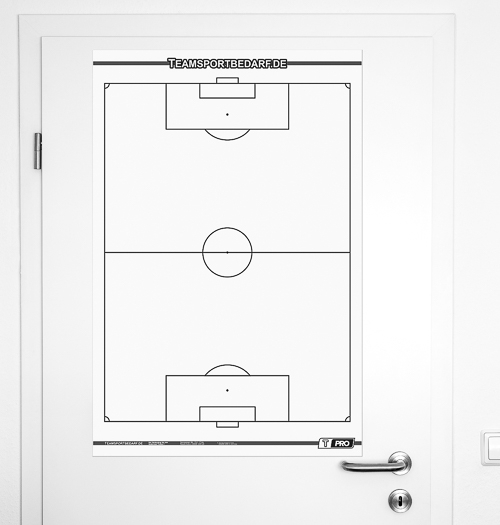 to the cab door or on the wall. 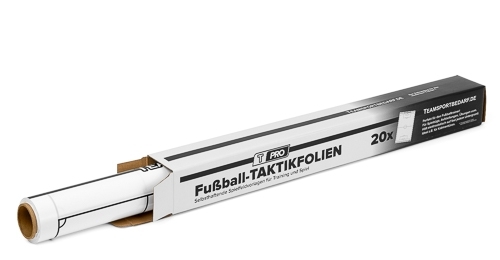 Simply fold and pocketed it, the T-PRO tactic foils adhere several times and are therefore repeatedly usable. 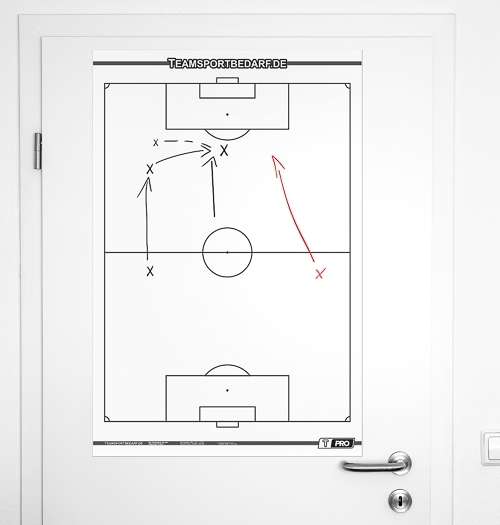 For the ideal care and use of tactic foils, we recommend cleaning your whiteboard surfaces twice a month with the whiteboard cleaner spray in combination with the whiteboard cleaning cloth. You can find the appropriate accessories in our shop. With our products work also trainer from the professional sector! Lots of success with your training!